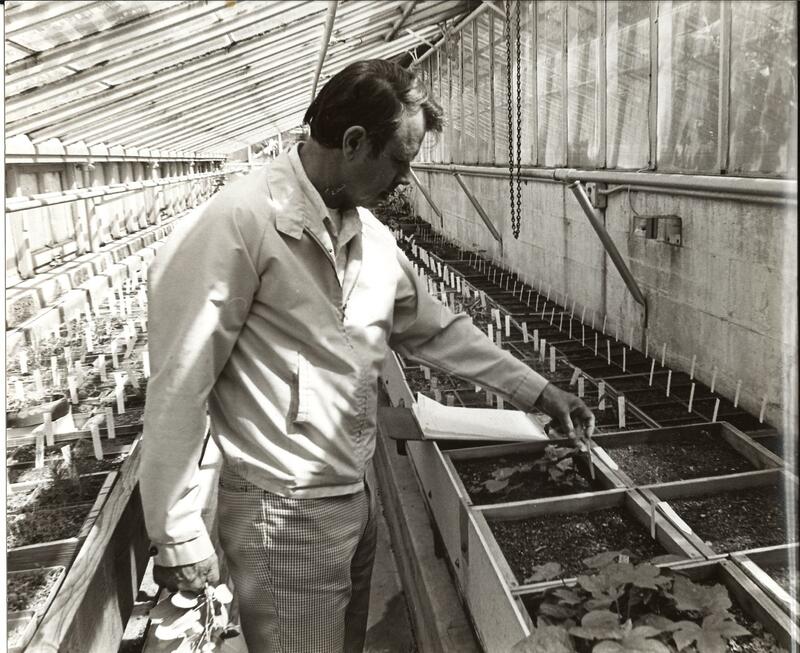 This photograph taken in April 1976, shows Joseph A. Witt inspecting seed flats and cuttings in the “pit houses” of the University of Washington Greenhouses at Washington Park Arboretum. Joe, as he preferred to be called, was a prominent staff member of the Arboretum for more than 30 yrs. Officially the Curator, he was also appointed as a Professor of Urban Horticulture at the University of Washington’s Center for Urban Horticulture, when it officially opened in 1980. Joe was a “people person” and was instrumental in assisting the Arboretum Foundation in starting many programs, including encouraging volunteers, “fun days” in weeding, and other educational events. As curator, he was in charge of bringing many new plants into the collection and for the leadership of the UW grounds crew. He was an expert on the horticultural and native flora of the Pacific Northwest. 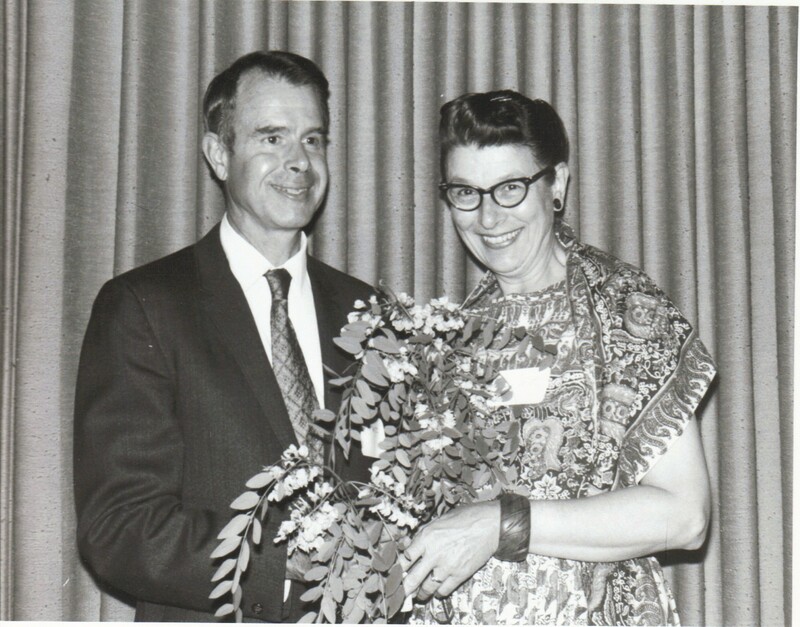 He was renowned and sought-after for his teaching of plant materials, both to UW students and to thousands of horticulturists who came to the Arboretum during his tenure. He also experimented with plant breeding and many of his unnamed rhododendron hybrids still “lurk” within the Arboretum collections. He named many plants and the famed Acer tegmentosum ‘Joe Witt’, a highly striped form of the Manchurian Stripebark Maple, is now found in increasing numbers on Seattle streets. His widow, Jean, still active in her mid-90’s, was a keen iris breeder and together they were well known and respected in the native and hardy plant societies of the world. I personally remember several memorable field study trips to the Cascades and east side of Washington in the early 1980’s, whereby Joe spoke about the plants and Jean spoke about the geology. As Joe approached retirement age, he was stricken with cancer and died in May 1984, a great loss to the Northwest horticultural community. However, his legacy lives on.